The work of Dr Ben Constance has meant TMR is now a classified ALS provider. Bringing full scope medical care to our patients in high angle and technical terrain in the Washington wilderness. We have 4 emergency physicians and paramedics working with TMRU, and another with Olympic Mountain Rescue. The goal is to have a network of wilderness trained physicians along the west coast of WA that can also provide mutual aid and improve our advanced medical coverage for all our missions. For more information and to sponsor this groundbreaking program visit www.mountainmedicine.us. Tacoma Mountain Rescue is a Charity. 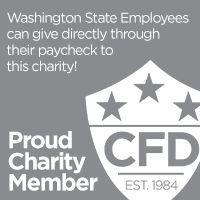 Because TMR is a 100% volunteer 503(c) charity with 0% admin costs we need just $20,000 per year to operate; providing search, rescue & recovery from Mt Adams to Mt Baker and mountain safety education throughout Washington State. But to keep Tacoma Mountain Rescue running we do need $20,000 – so we need you! Please donate online today or contact us about business sponsorship. On behalf of the next lives saved – thank you! Target: $20,000 per year! 2.5% Raised so far. Please donate today! An amazing group responsible for much of our life-saving equipment, search vehicles, gear, and operational funding. A long time supporter of Tacoma Mountain Rescue, the foundation has provided funds for both of our Rescue trucks. These guys do more than deliver gas and electricity, their assistance in getting a second truck allows us to deliver people to where we are needed. Thanks to Boeing for their kind donations and support of Tacoma Mountain Rescue. Thanks to Seattle based Outdoor Research for the great gear and great discounts you give TMR unit members. Thanks to Wet Coast Brewing Company who support TMR through events held at their wonderful Gig Harbor tasting rooms. As a charity, every year we struggle for funds for all the gear and stuff that keeps us ready to get to you on the mountain when you need us. Tacoma Mountain Rescue Unit shared a link. Day hikers are the most vulnerable in survival situations. Here's why. A new study looks at who lives and who dies when lost in the wild. Tacoma Mountain Rescue Unit shared a photo. Tacoma Mountain Rescue was founded in 1958. Members are experienced mountaineers ready 24 hours a day to respond to almost every imaginable rescue situation. Our members are volunteers and services are ALWAYS free of charge.